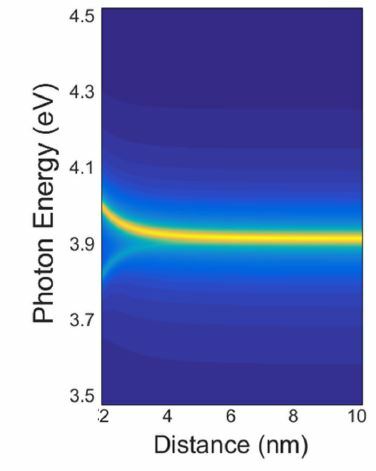 In this paper we study the optical response of two coupled oriented dipoles with the dimer axis perpendicular to the wave vector of light by analyzing how their scattering matrix can be decomposed. The scattering matrix can be written as a linear combination of three terms with a clear physical meaning: one for each particle and another that is responsible for the coupling and that vanishes for noninteracting or distant particles. We show that the interaction term may generate optical activity for certain scattering directions and that this effect manifests itself mostly in the near field. This simple and intuitive theory based on matrix and vector states of oriented dipoles also describes hybridization processes and Fano resonances. The decomposition method can be also formulated in terms of a hybrid basis that allows us to quantitatively determine the individual contribution of the in-phase and out-of-phase coupling modes to the overall intensity. Our method can help to understand the optical response of more complex nanostructures that can be decomposed into dipole terms. The results are illustrated in gold nanoantenna dimers which exhibit a strong dipolar resonance. This entry was posted in Uncategorized on September 13, 2018 by loiro. If Paul Soleillet has a special section in this website this is probably because I have spent more time reading an understanding his PhD thesis than any other scientific paper. And I have to confess that at the beginning (my first contact with his work was 2011) I understood very little of it. However, this last two years I have been rereading this work several times, understanding more and more of it. And every time I was more amazed. Last year I published how Soleillet pioneered the differential polarization calculus in the third part of his thesis. This year, together with my colleague Shane Nichols, I have published a new paper that emphasizes the contributions of Soleillet to the description of coherence and polarization in 3D (first and second part of his thesis). I think that some of the results that we emphasize in this paper, originally discovered by Soleillet but that we put in a more recognizable, format are very important for the fluorescence polarimetry. If you are interested in the topic, I think our paper will be very useful. 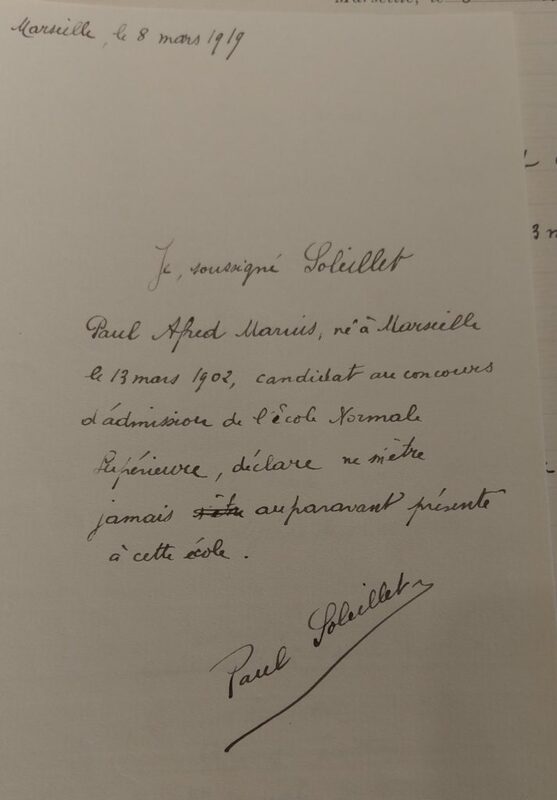 I am still looking for a photo of Paul Soleillet. I cannot believe that a person who died in 1992 and worked in major French scientific institutions for many decades has NO photo! I contact every place where he worked, without any luck. However a couple of weeks ago I visited the Archives Nationales in Paris and I was able to access to several original documents of Paul Soleillet from when he enrolled the École normale supérieure. See below some of them. 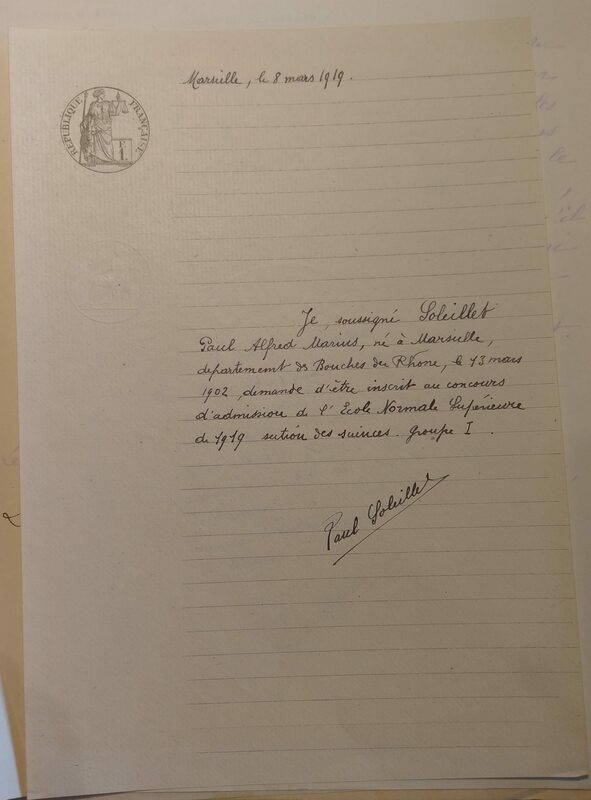 This entry was posted in Uncategorized and tagged paul soleillet on July 10, 2018 by loiro. Recently I have become interested in the Fresnel triprism (sometimes also simply known as Fresnel prism). It is a prism made of quartz cemented in between two other half prisms also made of quartz, but with opposite handedness than the central prism. See below a drawing of this prism from the book “Concepts of Classical Optics, by J. Strong (1958)” which was republished by Dover in 2012. Fresnel demonstrated as early as in 1822 that an incident beam of unpolarized light could be separated into its circularly polarized components (by multiple refraction through a composite prism of alternating left- and right-handed quartz segments). Fresnel was describing a phenoma of double refraction in Quartz along the optic axis, based on the the difference in phase velocities of states of opposite circular polarization. The interesting point is that this double refraction is an interface effect at the prism’s interfaces, because left- and right- circular polarization present differential refraction and they are refracted (i. e. deviated) by a different angle. The triprism produces rays of perfect LCP and RCP, with an angular separation dependent upon the dimensions of the prisms and the wavelength, from a collimated incident beam of unpolarized or plane-polarized light. It seems that the there was a time when the Fresnel prism (or variations of it adding even more prisms with alternating handedness to magnify the effect) was quite popular, and the properties of this Fresnel prism are mentioned in many books. However, nowadays is mostly a forgotten optics relic and, apparently nobody is manufacturing them any more. They can probably still be found in some old laboratories, but I have never had the chance to see one (yes, I am searching one!). I think that the Fresnel triprism could really helpful to teach concepts about the polarization of light and optical activity, because it is the most clear experimental demonstration that unpolarized or linear-polarized light can be decomposed in LCP and RCP contributions. And more importantly, I also think that the Fresnel triprism could have today many applications in chiroptics, as it is probably, one of the most elegant (and argueably better) ways to generate good circularly polarized light. 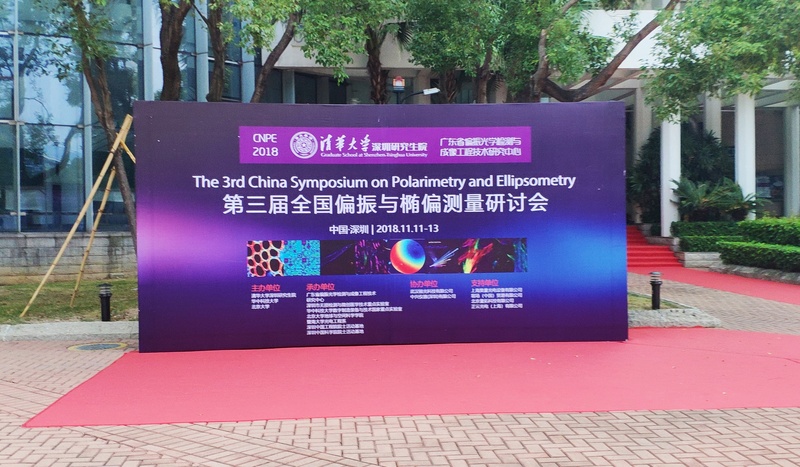 Remember that current methods to generate circular polarization are almost always based in the use of quarter-wave retarders, optical components that tend to be chromatic and with a non-ideal polarization response. In contrast, crystal-based polarizers tend to be very achromatic and with an almost ideal polarization response because, like the Fresnel triprism, are based in the beam splitting due to double refraction. 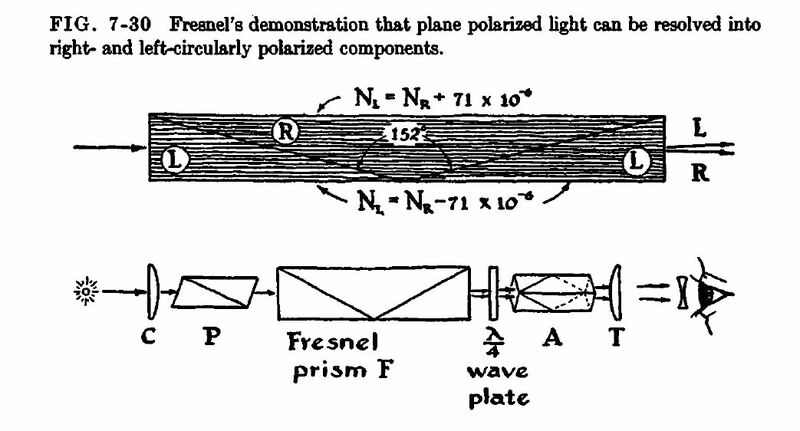 The only paper known to me where the Fresnel prism was used for a chiroptical application is R. Manuel Echarri, The fresnel prism as polarization interferometer, Microwave and Optical Technology Letters 6(7):403-407,1993. See below a figure from this paper. The author of this paper recently told me that the prism he used was lost among old materials and probably was more than 100 years old. Somebody wants to make Fresnel triprisms again? This entry was posted in Uncategorized and tagged fresnel prism, Fresnel triprims on June 19, 2018 by loiro. Every year I am getting more interested in the history of optics, particularly during the XIXth century and first half of XXth century. 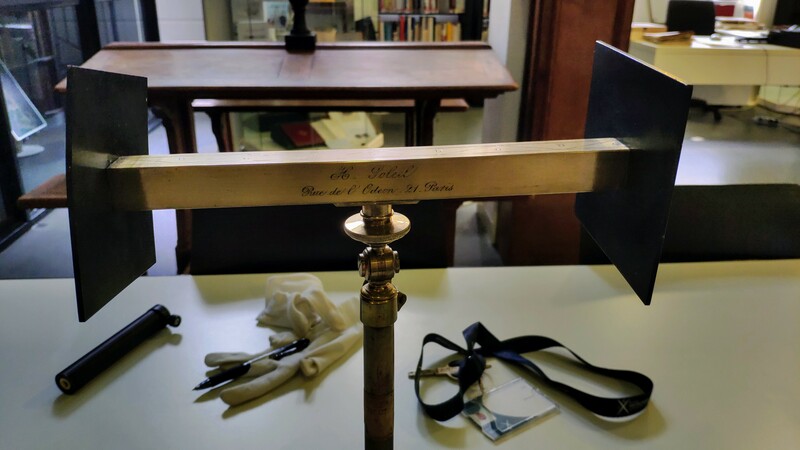 The blog Skulls in the Stars by Gregory J. Gbur contains really interesting posts about the history of optics during this period, with very rich and enriching explanations than are not found in optics books. François Arago: the most interesting physicist in the world! This entry was posted in Uncategorized on May 23, 2018 by loiro. I am part of the Organization Comittee of the Eight international conference on Spectroscopic Ellipsometry (ICSE8). It will be held in Barcelona in May 26th – 31st, 2019. You can save those dates in 2019. The abstract submission will start later this year. 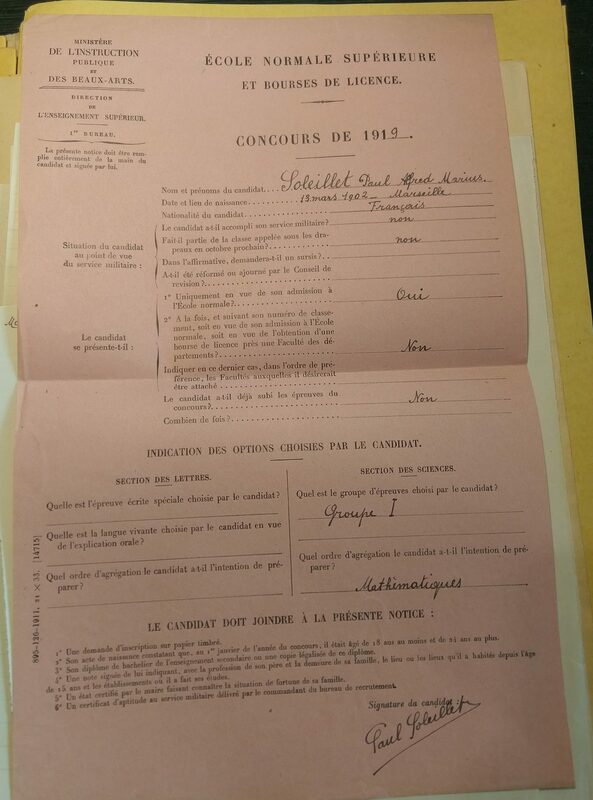 Clicking HERE you can also get the first circular in PDF. This entry was posted in Uncategorized and tagged ics8 on March 12, 2018 by loiro. During the last months international news have reported vastly about the pro-independence movement in Catalonia, which crashed against the fierce negative of the Spain government to hold an official referendum about the subject, as it was done in Scotland not long ago. These months the controversy has escalated to a new level and, sadly, now part of Catalan Government is in prison and another part is in Brussels and they would be arrested if they entered Spain. I will not write more about this, as I want to focus on about how research is handled in Spain and Catalonia, but maybe this is demonstrating how a country that cannot handle politics cannot handle either research. 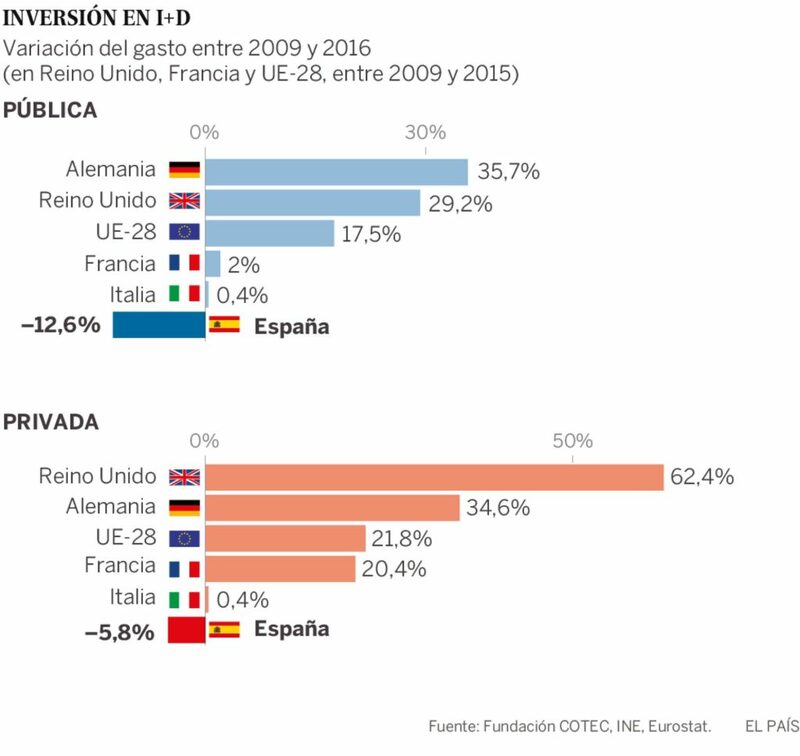 The following graphs show the evolution of investment in research in Spain in the period 2009-2016 and compared to other EU countries. This entry was posted in Uncategorized on December 27, 2017 by loiro. Young’s double slit experiment is one of the most famous experiments in Physics. It played a major role in the discussion of the wave-particle duality of light and it is also usually used to explain several basic concepts of Quantum Mechanics. When the experiment is made with polarized light, the well-known result is that the interference pattern fades out if the slits are labeled with orthogonal polarization states. Beyond this simple statement we have developed some tools that allow for a complete understanding of Young’s double slit experiment from the perspective of Polarimetry. I have summarized this topic in a presentation I recently made in the AVS 64th international conference. You can visualize or download it here. This entry was posted in Uncategorized on December 18, 2017 by loiro. I am concerned by the way the leading journal Nature deals with the subject of chirality and its relation with optics. I would say that this journal is becoming notorious for publishing papers containing confusing (and sometimes wrong) statements about chirality. Unfortunately this is not new. In 2013/2014 I sent to Nature Photonics a short letter titled “A note on optical activity and extrinsic chirality” questioning the concept of extrinsic chirality and explaining how it could lead to very unfortunate confusions. Very long time after the submission the Editor told me that I was right but he argued that everything I was saying was well-known. I was not very satisfied with this response but at least I hoped my note had served as a heads up for the Journal. A couple of months ago I saw that Nature had published a paper with the surprising title: Experimental demonstration of the microscopic origin of circular dichroism in two-dimensional metamaterials by AB Khanikaev et al. . This title is already not very promising because two-dimensionality and circular dichroism are, in principle, incompatible concepts, but unfortunately what comes inside can only be described as a confusing and confused understanding of circular dichroism. This time I wrote another short letter to Nature titled “Circular dichorism and two-dimensional materials” and I submitted it as Brief Communication arising to the paper by Khanikaev. The editor this time said that this discussion is clear to the metamaterials community and it does not challenges the conclusions of the paper for this community. Sure? Again, I hope that this second letter has served as a heads up for Nature, but at this time I can only advise caution when reading a Nature paper dealing with these topics. This entry was posted in Uncategorized on October 5, 2016 by loiro.